AfriForum advocate Gerrie Nel says the NPA has had enough evidence for five years to bring a prosecution for the murder of Rwandan dissident Patrick Karegeya. 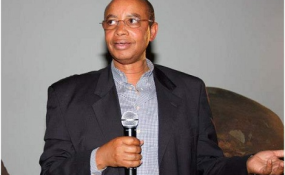 South African authorities have been accused of trying to "cover up" the "political assassination" of Rwanda's former intelligence chief Colonel Patrick Karegeya in a Sandton hotel over five years ago. AfriForum advocate Gerrie Nel asked a Randburg magistrate on Wednesday to stop the judicial inquest into Karegeya's death. Nel said the police and the National Prosecuting Authority had been sitting on enough evidence to prosecute Karegeya's suspected killers for five years but had "inexplicably" not done so. Nel, a former star public prosecutor, is representing Karegeya's family and other Rwandan exiles in this case. He suggested the inquest was a delaying tactic to avoid prosecuting the four Rwandans suspected of strangling Karegeya. The long-delayed inquest was supposed to start on Wednesday. But before it could get underway, Nel asked Magistrate Jeremiah Matopa to cancel the inquest so the four murder suspects, all Rwandans, could be prosecuted immediately and extradited. They are believed to be in Rwanda.